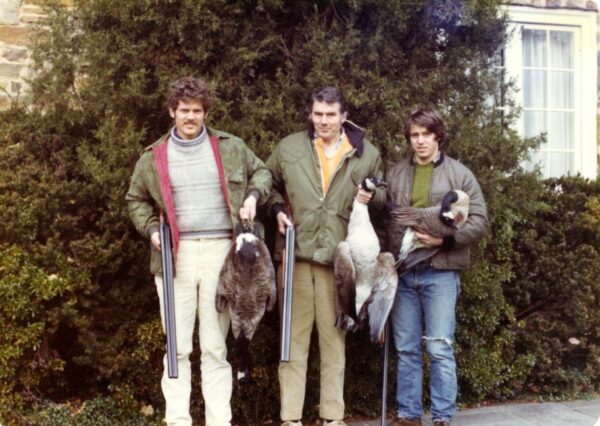 I gave up hunting along time ago as I love animals but this was back then. My Uncle Albert Thompson, had a massive farm on Love point on the Eastern Shore. The retry across the street got bombed on the war of 1812 by the British – kind of cool. Ok back to Hunting. My brother and my self and sometimes dad would go down Friday night and on Saturday morning get u at 5 to go to the duck/goose blinds – both on the water and in the ground called “goose pits” . So we would call the geese in the kill them.